Used extensively in tagines from Morocco and the Middle East and in the curries and pilaf’s of India. 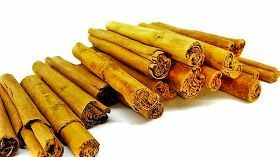 True cinnamon has a woody, clove like aroma but is not too sweet. Cassia is often sold as cinnamon due to its stronger sweeter aroma. Real cinnamon is delicate yet very intense in flavour. Goes great with any sweet or savoury dish.